Lee Dain Watts Neal was born in Richmond, KY March 8, 1947. 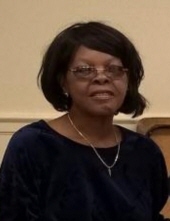 Departed this life April 11, 2019, went home to be with her mother and father, Lee Morris and John Watts, one daughter, Belinda Faye Neal, three brothers, James, Leslie Thomas, and Robert Watts, one sister, Velma S Watts. She confessed her hope in Christ at the age of 12, became a member at St. Paul A.M.E. Church in Richmond, KY.
She is survived by three Sons, Dennis Neal Jr., Leslie Neal and Delbert Neal all of Richmond, KY, one sister, Mary E. Watts of Lexington, KY, five brothers, Rev. Richard F Watts, John Jr., Charles Edward, Donald Lee Watts all of Richmond, KY, Randy Dale of Minneapolis MN. One daughter-in-law Shannon Neal, four sisters-in-law, Rosalie Coleman Watts, Rosa Lee Watts and Nina Watts all of Richmond, KY., Deborah Watts of Minneapolis MN., 11 grandchildren, three great grandchildren, nieces, nephews, cousins and other relatives and a host of friends. Funeral services will be 1:00PM Friday April 19, 2019 at St. Paul A.M.E. Church 437 Francis Street Richmond, KY., Rev. Laveeshia Pryor Pastor and Rev. Richard F. Watts Eulogist. Visitation will be 11:00AM till service time at the church. To send flowers or a remembrance gift to the family of Lee Dain Watts Neal, please visit our Tribute Store. Guaranteed delivery before Lee's visitation begins. Guaranteed delivery before Lee's service begins. "Email Address" would like to share the life celebration of Lee Dain Watts Neal. Click on the "link" to go to share a favorite memory or leave a condolence message for the family.